Vendors are now able to download your application package and pay your vendor application fee online. We accept all major credit cards and the site uses current technology to assure your information is safe and secure. Join visitors from around the World for the 39th Annual Springville Apple Festival in beautiful Springville, California. This years theme is “Fun to the Core”. Held annually the 3rd weekend in October, the festival features wonderful handmade crafts, incredible apple themed food, the World famous Fat Tire Classic bike race and the always popular Apple Run. 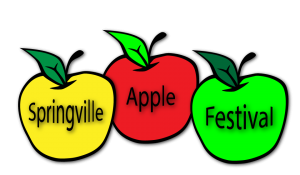 Follow the Springville Apple Festival Blog to stay up to date on what is happening with the Springville Apple Festival.